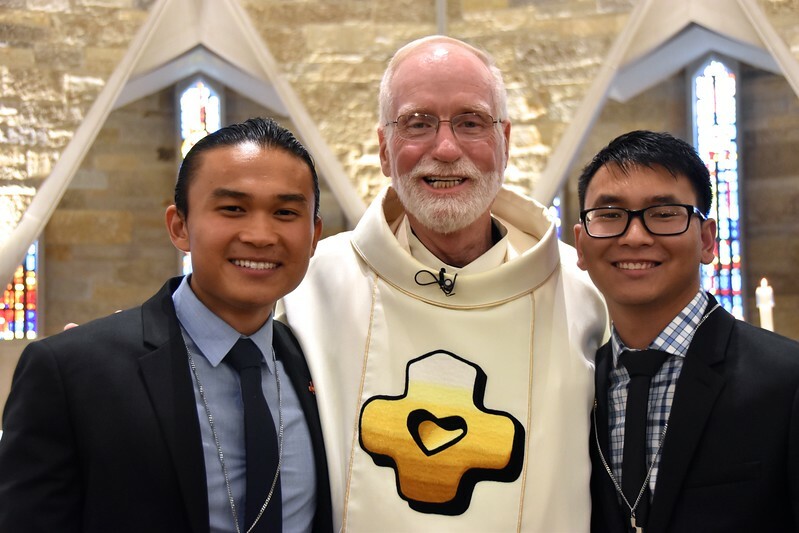 On August 14, 2018, with the profession of their first vows, Phong “Paul” Hoang and Henry Nguyen became Dehonians, members of the US Province of the Priests of the Sacred Heart. The vows were received by Fr. Ed Kilianski, SCJ, US provincial superior, during a liturgy in the main chapel at Sacred Heart Monastery / Sacred Heart Seminary and School of Theology. Fr. Quang Nguyen, SCJ, vice provincial, was the main celebrant.